It is a fact that the email marketing process works well for commercial real estate agents and brokers in generating leads and opportunities in the market. It is part of a larger online marketing strategy. In saying that email and online marketing methods needs to be well managed and interesting so they attract the attention of the prospects. They need to be planned and integrated with websites, blogs, and industry portals to get results in a meaningful way. 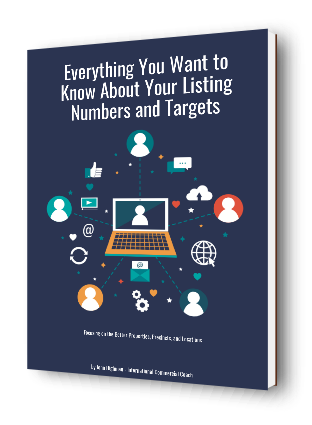 Do not just send only listings as part of the email dispatch – Far too many generic emails are sent by agents that are just a ‘listing blast’. Over a period of weeks the majority of prospects and clients leave the list simply because of lack of interest in the email. Have an automatic ‘opt in’ system – You can put an automatic subscribe point on your websites, blog, and listings. From that process, the interested property investors and business owners can add their name to your list. The way that you encourage the process is in offering valuable ‘case studies’ or ‘market reports’. Add value to your communications and people will join your list to get the information that you offer. Provide your clients and prospects with the opportunity to ‘opt out’ of the email system – Laws exist that require you to have a ‘opt out’ process in every email to allow the person to stop future emails. Make sure you comply with the laws in your location. Don’t use your direct email and server as the email source – Inexperienced agents will broadcast newsletter emails from their brokerage server without understanding what can happen. What this can do is potentially list the office email system and website domain as a source of ‘spam’. When that happens many email systems around the world will stop future emails getting sent and channelled. Have the person’s approval – Don’t buy a list of local businesses or contacts, and then send marketing emails to people you do not know. The conversion rate with such process is very low and you are very likely to get listed on the ‘spam register’. Segment your database list – Those people that have agreed to get emails should be segmented into property types and locations. In that way you can send them the information that they really want. Auto responders are valuable tools – An auto responder will help you automate the email sending process as well as assist you in being ‘spam law compliant’. Such services are very professional and they have all the templates you could ever require when it comes to making your emails ‘attractive’. They also manage your list so you do not have to worry about bounced and undelivered messages. Track open and click rates – Any newsletter that you send through the auto responder should have the ability to be tracked when it comes to open and click rates. In that way you will see what information in the newsletter is of the greatest interest. You can then make direct calls to the people in your list to follow up on their ‘click interest’. As part of that you can ‘split test’ different links by type within the newsletter, such as photos, text, and domain links. You will soon see the things that are motivating readers to take action. 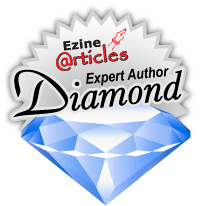 Link to blogs and articles – To freshen up and make your newsletter more interesting, have links from the email that take a person to interesting articles and blogs on your website. In that way you email is not just a ‘grab for new business’. Follow the rules when you send emails to the people in your commercial real estate database. In that way you will grow your list and retain the attention of the people getting the information.